If it keeps growing, every company eventually reaches a moment where this message arrives: it’s time to grow up. For Microsoft, IBM, and Intel it was antitrust suits. Google’s had the EU’s €2.4 billion fine. For Facebook and Twitter, it may be abuse and fake news. 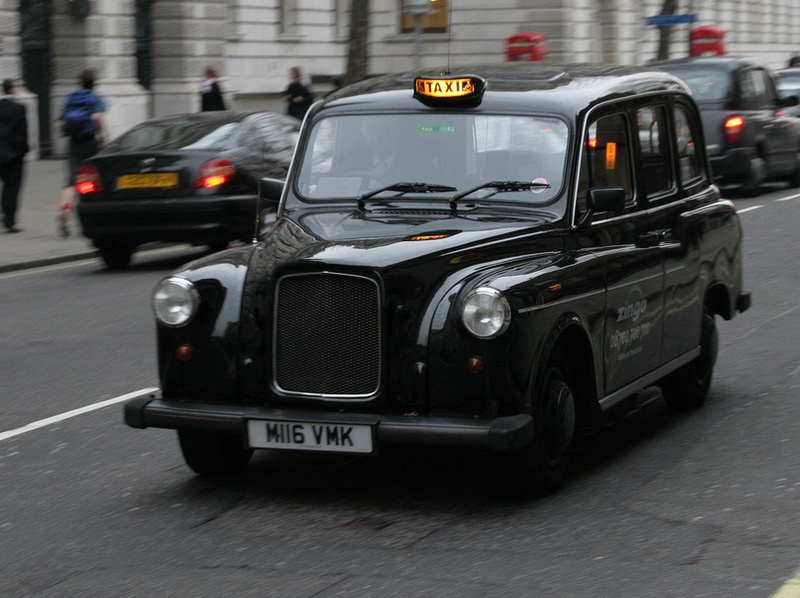 This week, it was Uber’s turn, when Transport for London declined to renewUber’s license to operate. Uber’s response was to apologize and promise to “do more” while urging customers to sign its change.org petition. At this writing, 824,000 have complied. I can’t see the company as a victim here. The “sharing economy” rhetoric of evil protectionist taxi regulators has taken knocks from the messy reality of the company’s behavior and the Grade A jerkishness of its (now former) founding CEO, the controversial Travis Kalanick. The tone-deaf “Rides of Glory” blog post. The safety-related incidents that TfL complains the company failed to report because: PR. Finally, the clashes with myriad city regulators the company would prefer to bypass: currently, it’s threatening to pull out of Quebec. Previously, both Uber and Lyft quit Austin, Texas for a year rather than comply with a law requiring driver fingerprinting. In a second London case, Uber is arguing that its drivers are not employees; SumOfUs begs to differ. People who use Uber love Uber, and many speak highly of drivers they use regularly. In one part of their brains, Uber-loving friends advocate for social justice, privacy, and fair wages and working conditions; in the other, Uber is so cool, cheap, convenient, and clean, and the app tracks the cab in real time…and city transport is old, grubby, and slow. But we’re not at the beginning of this internet thing any more, and we know a lot about what happens when a cute, cuddly company people love grows into a winner-takes-all behemoth the size of a nation-state. A consideration beyond TfL’s pay grade is that transport doesn’t really scale, as Hubert Horan explains in his detailed analysis of the company’s business model. As Horan explains, Uber can’t achieve new levels of cost savings and efficiency (as Amazon and eBay did) because neither the fixed costs of providing the service nor network externalities create them. More simply, predatory competition – that is, venture capitalists providing the large sums that allow Uber to undercut and put out of business existing cab firms (and potentially public transport) – is not sustainable until all other options have been killed and Uber can raise its prices. Earlier this year, at a conferenceon autonomous vehicles, TfL’s representative explained the problems it faces. London will grow from 8.6 million to 10 million people by 2025. On the tube, central zone trains are already running at near the safe frequency limit and space prohibits both wider and longer trains. Congestion will increase: trucks, cars, cabs, buses, bicycles, and pedestrians. All these interests – plus the thousands of necessary staff – need to be balanced, something self-interested companies by definition do not do. In Silicon Valley, where public transport is relatively weak, it may not be clearly understood how deeply a city like London depends on it. At Wired UK, Matt Burgess says Uber will be back. When Uber and Lyft exited Austin, Texas rather than submit to a new law requiring them to fingerprint drivers, within a year state legislators had intervened. But that was several scandals ago, which is why I think that this once SorryWatch has it wrong: Uber’s apology may be adequately drafted (as they suggest, minus the first paragraph), but the company’s behaviour has been egregious enough to require clear evidence of active change. Uber needs a plan, not a PR campaign – and urging its customers to lobby for it does not suggest it’s understood that..
At London Reconnections, John Bull explains the ins and outs of London’s taxi regulation in fascinating detail. Bull argues that in TfL Uber has met a tech-savvy and forward-thinking regulator that is its own boss and too big to bully. Given that almost the only cost the company can squeeze is its drivers’ compensation, what protections need to be in place? How does increasing hail-by-app taxi use fit into overall traffic congestion? 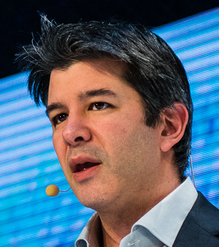 Uber is one of the very first of the new hybrid breed of cyber-physical companies. Bypassing regulators – asking forgiveness rather than permission – may have flown when the consequences were purely economic, but it can’t be tolerated in the new era of convergence, in which the risks are. My iPhone can’t stab me in my bed, (as Bill Smart has memorably observed, but that’s not true of these hybrids..
TfL will presumably focus on rectifying the four areas in its announcement. Beyond that, though I’d like to see Uber pressed for some additional concessions. In particular, I think the company – and others like it – should be required to share their aggregate ride pattern data (not incidivual user accounts) with TfL to aid the authority to make better decisions for the benefit of all Londoners. As Tom Slee, the author of What’s Yours Is Mine: Against the Sharing Economy, has put it, “Uber is not ‘the future’, it’s ‘a future'”. Illustrations: London skyline (by Mewiki); London black cab (Jimmy Barrett; Travis Kalanick (Dan Taylor).